Product #20799 | SKU FID88C00-2 | 0.0 (no ratings yet) Thanks for your rating! 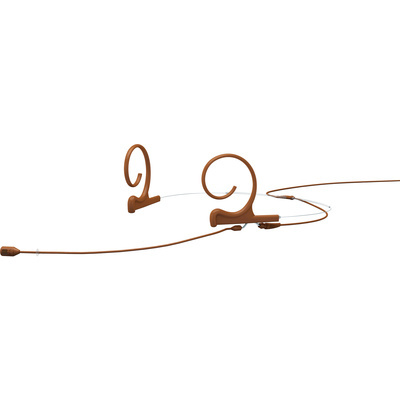 The brown FID88 2-Ear Cardioid Headset Microphone with a 120mm Boom and a MicroDot Connector by DPA Microphones is for capturing professional audio. It is used in various environments in applications such as for singers, public speakers, actors, musicians, broadcast professionals and more. It features a cardioid directional microphone and has a frequency range of 20 Hz to 20 kHz. This microphone offers maximum side rejection and excellent sonic focus on the subject.